– Most test drivers (94.8%) reported being able to sync. – Nearly all (98.2%) of test drivers elected to continue driving after the first 48 hours. We will lbe measuring syncing success, performance and stability. Additionally, Ancestry will be monitoring what happens when tens of thousands of Family Tree Maker users all get started using the new edition at the same time. We’ll meet with Ancestry on Tuesday to decide whether to expand the test drive program or go for a general release. Results from expanded beta testing this week showed 94% are now able to sync (up from 89% last week) with all but the largest of trees. And Ancestry continued to roll out modifications to their connection systems to help ensure that syncing works reliably for all users. The last major Ancestry system update will be live tomorrow (Friday) and we expect to start building our part over the weekend and have it ready to test and put into builds early next week. I’m oversimplifying all of this, but I want to briefly discuss it (because it’s a very long and complex topic). I’ve seen some people that are frustrated with the process, since TreeSync was shutdown in March (the lack of synchronization of trees between Ancestry.com’s online version, and the FTM desktop software caused a LOT of frustration). TreeSync is the feature that allowed FTM users to sync their Ancestry.com online trees with the Family Tree Maker software. After Ancestry.com sold FTM, TreeSync was originally going to be closed down back in 2016, with its replacement, FamilySync coming sometime in 2017. 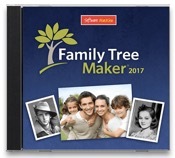 That would mean that for several months, there would be no syncing of trees between Ancestry.com and the desktop version of Family Tree Maker 2017. MacKiev convinced Ancestry.com to keep TreeSync available through March, with the idea that Family Tree Maker 2017 would launch with FamilySync, the replacement for TreeSync, shortly after. Note that FamilySync would NOT be compatible with previous versions of Family Tree Maker. I will talk about FamilySync at a later date, but keep in mind that in the near future, RootsMagic will also be syncing with Ancestry.com’s family trees, putting even more of a load on the Ancestry.com servers.. From what I understand, RootsMagic is currently testing the syncing of family trees between the RootsMagic desktop software and Ancestry.com, although I do not believe it’s in the same numbers as FTM 2017. Back to the topic – unfortunately, this meant that testing of FamilySync would have to wait until TreeSync was closed down, because the two could not function at the same time, and so any and all issues with FamilySync and FTM 2017 would not be discovered until then, and it would feel like it was a very compressed time frame. There were some communications issues as well, which MacKiev acknowledged, but the bigger issue was still that a lot of FTM 2017 users would be using FamilySync at nearly the same time, putting a lot of strain on the Ancestry.com side. If you have played online games, particularly online games with lots of players who are on at the same time, it’s very similar – during a game’s launch, or a major update, there are many people connecting to the servers at the same time to download the new game data, a much larger number than the normal amount of users who are online at any one time, and it causes problems. In this instance though, the issue is compounded by the fact that the data being transferred is genealogical in nature, and MacKiev and Ancestry.com both want to make sure that nothing is lost. Nothing would hurt either company more than news that they are losing customers’ genealogical information. It’s easy to re-download a video game patch. It’s not so easy if your family tree has thousands of people in it, and you aren’t sure if they were all uploaded/downloaded between your desktop software and Ancestry.com, or if something was overwritten that shouldn’t have been. As you can see from the comments above and in previous updates on MacKiev’s site, all of this is putting a strain on Ancestry.com’s servers, and so it’s not just a matter of MacKiev testing FTM 2017 with their beta testers (which they had been doing well before all of this), Ancestry.com’s engineers are heavily involved, and having to adjust and possibly upgrade their servers. And keep in mind that both MacKiev and Ancestry.com have to be satisfied with the results on their ends, that the users of FTM 2017 will not be losing data. And Ancestry.com is having to prepare for RootsMagic as well. Yes, all of this has taken longer than expected, but as I mentioned, FamilySync couldn’t go live and be tested until TreeSync had shut down. I’m not making excuses – the easy call on Ancestry.com’s and MacKiev’s part would have been to shut down TreeSync last year, and then launch FamilySync with FTM 2017 several months later (March or April), but they made the decision to keep things going as long as possible for users of older versions of FTM. The end is in sight though. – I have not seen anybody losing data when synchronizing between FTM 2017 and Ancestry.com. That doesn’t mean it hasn’t happened, but I haven’t seen it myself, and I haven’t read about it from others who are beta testing. – I have had no issues synchronizing my trees between Ancestry.com and FTM 2017. With that said, my trees are substantially smaller these days – only a few hundred people and a few dozen media files. That’s because I’m in the process of a genealogy do-over and rebuilding my trees from the ground up. I’m motivated in part because of DNA tests I have done, as well as those of relatives. I’m trying to make sure that my personal family trees are as accurate as possible. – I’m not going to comment too much on the FamilySync interface, because I think that we beta testers possibly have a different interface than what will be released with public versions of FTM 2017, but I will say it’s been very informative – MacKiev has added information that lets you know how well/fast syncing is occurring, and if there is anything you need to be aware of. – I do think that the syncing is faster than previous versions of FTM, but I haven’t been what you would call a heavy user of FTM. I have been familiar with FTM for well over 10 years, but I’ve rarely used it as my main genealogy program – in recent years, I’ve been using it mainly to synchronize very limited trees with Ancestry.com, mainly as a means to easily check for hints on Ancestry.com, and to make contact with others researching the same lines. Now that I’m more heavily involved in DNA-related genealogy, both with myself and family members, I will use it quite a bit, but I don’t know if it would become my main genealogical program. I tend to use multiple programs, for different projects/needs. I will say this much: I think MacKiev is doing a better job of supporting Family Tree Maker than Ancestry.com had done in recent years. I understand why Ancestry.com wanted to move away from having their own desktop genealogy software, and I give them credit for being willing to let MacKiev take it over. They could have easily just killed it off – it would not be the first time something was shut down like that.